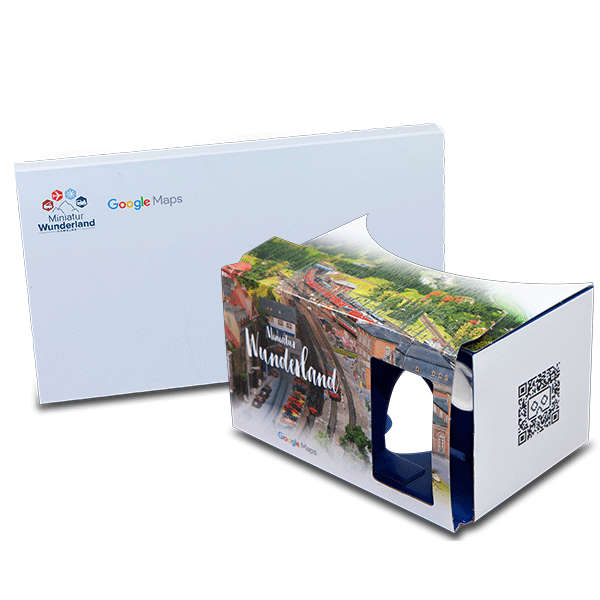 Google Street + Google Cardboard is a perfect match to promote your local business. Our customer the Miniatur Wunderland Hamburg (the largest model railway in the world, and one of the most successful permanent exhibitions in Northern Germany) digitized the entire park with a miniature Google Street View car and made it available for everybody in Google Maps. The good thing: Google Street View is compatible with Google Cardboard.